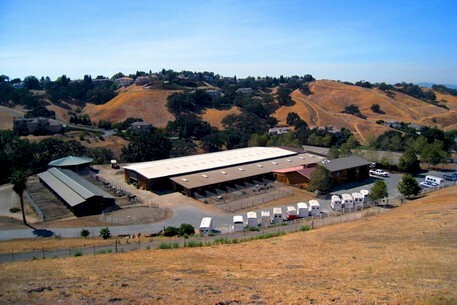 A boutique training & show barn located in the beautiful San Francisco East Bay. Your goals are our priority- whether wanting to learn the basics of horsemanship or compete! Full-Care Boarding and Dressage Training at Wyvern Farm. Low-stress, high performance training with German Licensed trainer Jasmin Becker. Impeccable horse care, personalized attention for every horse and rider. Quiet and serene environment for an optimal training and learning experience. Ten minutes from Blackhawk on Johnston Road off Camino Tassajara. A premier boarding / training facility, 2 large outdoor arenas, plus a covered arena, 6 horse exerciser, 32 acres beautiful trails. Gold Medal Equestrian led by Olympian Gina Miles offers comprehensive training for all ages in Eventing, H/J, and Dressage. 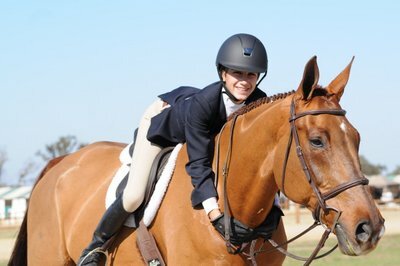 We have programs for all levels ranging from beginning riders, recreational riders as well as those aspiring to compete on a local, national or international level. Hossmoor is a premier boarding facility in a peaceful & convenient location, catering to all needs, types & levels of riders. Our facilities include a 250x150 lighted covered arena, lighted covered 8 ft. round pen, 3 outdoor arenas, 7 miles of trails, 4 barns, and Eurosizer. ARE YOU READY TO JUMP TO THE NEXT LEVEL? 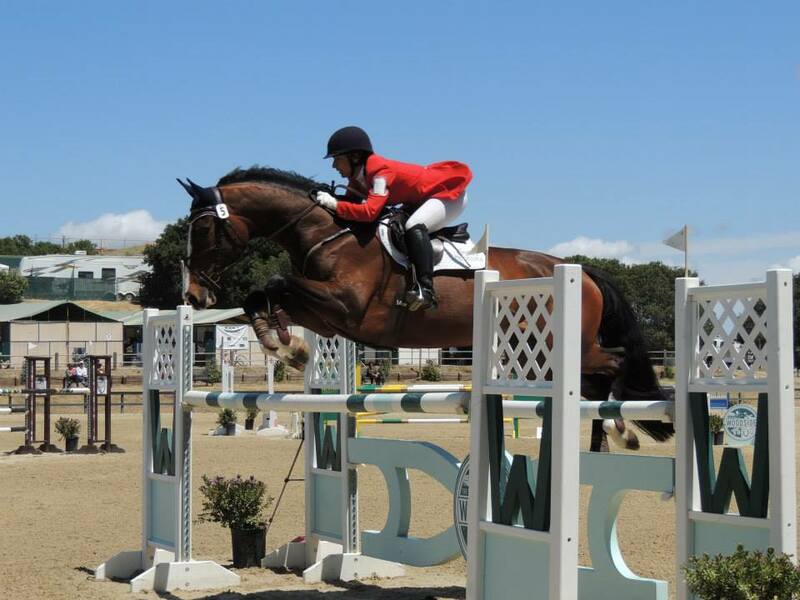 Our hunter/jumper show barn offers a competitive and fun environment for all levels of riders...from basic beginners to the top levels of showing jumping. 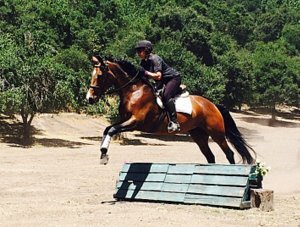 Kenilworth Stables is a private hunter-jumper facility in the Oakland hills offering a high caliber riding school in a fun community environment. In tribute to a rich history of horsemanship, Kenilworth strives for the highest standards in equestrian athletics. A haven for the passionate equestrian. Hunter/Jumper Training, Lessons; Beginning to Advanced. We have horses to accommodate each level, from the first ride, coming back to riding after a break, and riding to reach a goal on the A-circuit. 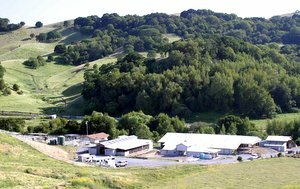 Home of Five Mile Equestrian Center, a premier equestrian facility located in San Francisco's beautiful East Bay. Boarding, Training, Clinics, Lessons. Cross Country Course. Indoor Arena w/mirrors. Full-size Outdoor Dressage Arena. 500 acres of groomed riding trails, ideal for endurance. Open 7 days a week. All disciplines welcome. 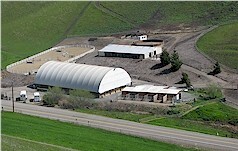 is the East Bay's Premier Equine Education Venue. We provide a Safe Stress Free Learning Environment. We accomplish goals through Partnership and Soft Feel. We have talented trainers onsite and bring in amazing Clinicians from all over the world. Come Learn With Us! Cross Country Schooling Open 7 days a week. Please call for times and availability or view our web site www.rdlatoride.com. New Trainers welcome with students. Trainers on site for lessons if needed. Call for more info 510-538-8932. Private Equestrian Facility on 22 acres with direct private access to Mt. Diablo State Park Trails. Great for trail riding & endurance training. 113 stalls, indoor & outdoor arenas, covered roundpen & turnouts. We offer training, lessons & apprentice programs. Family friendly, great location! Certified Equine Rehabilitation and Hoof Care. Offering sports massage, STM, MFR. Theraputic and conditioning exercies, Core strengthening, Kinesio taping, Cold laser. Theraputic trimming, booting, and plastic shoeing available. Western training from starting colts and problem solving to finishing/showing. 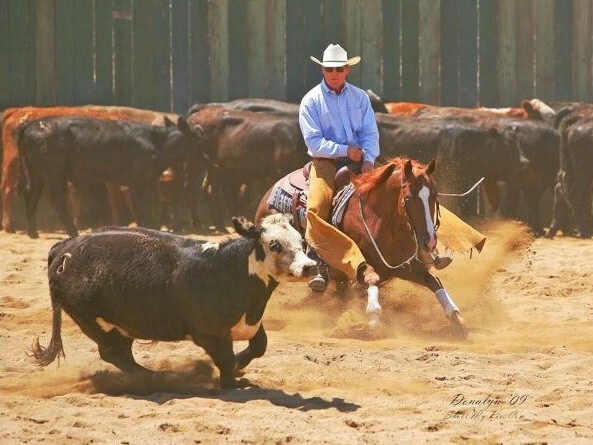 Specializing in reining, cow horses, ranch riding and barrel racing. Lessons from beginner to advanced on your horse or one of ours. Huge 140'x 300' covered arena and trails. A PEREIRA RANCH Located in the heart of Tassajara. Just 15 min. from Danville, Dublin, Livermore & Pleasanton! 1,000 private acres with access to Mt. Diablo trails. 3 arenas,**INDOOR ARENA**, Round Pen,Hot water & 3 wash racks. Many boarding options. Full Service or Clean yourself and save Money. USDF Certified Instructor offering Dressage training AND KIDS lesson program. Quality school horses! Custom training and lesson packages located at our own facility in Sonoma Co., east of Santa Rosa. Lessons, training and sales located at Pleasants Valley Arena in Vacaville. Beautiful facility with a large covered arena,round pens and trails. All ages and abilities welcome. Specializing in all around horsemanship with a focus in reining/cowhorse, barrel racing/gymkhana. Lesson horses available! 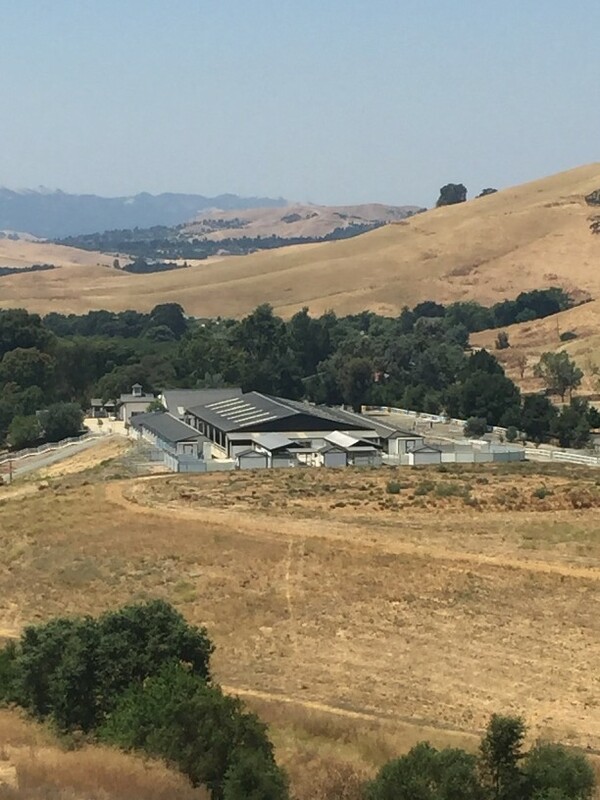 Beautiful boarding facility in East Bay: 220 acres, 4 arenas, 77 stalls & paddocks, 6 turnouts, groomed trails, in-house trainers, & many other amenities. Visit www.arribavistaranch.com for more info! Do you want to take lessons, but dont want to have to commit to a package? Do you want to bond with your horse and have fun? Well then give me a call :). I am experienced in both English and Western disciplines. I do not discriminate against breeds and enjoy helping people better their riding. Colt-starting, finishing, and specializing in the re-schooling of problem horses. Exceptional apprenticeship and horsemanship programs offered on-site, as well as a huge venue of educational clinics. Harry offers beginning horse driving training for both horse and human. Providing multi-discipline expertise in the development of the seat for all levels. Erica works with everyone from FEI dressage riders to eventers & trail riders, anyone who wants to improve communication with their horse. Regular clinic & lesson schedules in CA & nationally. Offering Natural Horsemanship, dressage, and jumping lessons for beginner to advanced riders with a focus on strong basics and harmony. Groundwork is used to improve partnership and timing. Will travel. Specializing in Dressage, Hunter/Jumpers, Eventing, Western, Trails. Natural Horsemanship and Classical Dressage Training focusing on relaxation to create willing partners with correct dressage basics. Trainer specializes in colt starting, problem horses, and jumpers. Multiple disciplines, improves way of going, desensitizes, trail rides. Will travel. 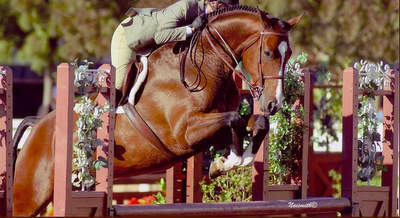 GEC is a full care boarding and Dressage training stable located in Livermore. A huge indoor arena, lounging arena, Euro-sizer, outdoor arenas and a bridle path create an unique riding experience. Ali Kermeen,USDF Bronze and Silver medalist, L Graduate with distinction offers USEA and CHA certified instruction in Dressage, Cowboy Dressage, Working Equitation, Eventing, and Hunter/Jumper. Great for riders with their own horses, or riders looking to part-lease a horse. Grow to understand your horse as a partner in a relationship based on competence, fairness and trust in constantly evolving interactions. Emphasis on learning signs of your horse's health, character, emotional state and on your horse's movement in response to your body and hand signals. Training for horses and riders. Our goal is to develop a well-rounded pair through consistency and clear communication in any discipline. Also accepting a number of problem horses at this time. La Jolla Equestrian Center is a premier Equestrian Boarding Facility located in the lovely Tassajara Valley of the East Bay. Located between Danville and Pleasanton, we offer the highest quality boarding and training in the English Riding Discipline of Dressage and English Pleasure Riding. Located in Brentwood California, Lehmann Stables offers boarding, riding instruction and horse training for horse enthusiasts of all ages in the East Bay area. Laurie is a USDF Certified dressage instructor. She teaches students of all ages and levels. She is certified through Fourth Level. FEI dressage trainer and instructor who works with each horse’s unique temperament to produce happy, relaxed, supple performers at their peak. Trained horses that have competed internationally. Beginner Riding Academy Now accepting new clients, for beginner-intermediate riders, lesson horses available. Email or call to schedule an Introductory Lesson. 2019 Promotion for new clients!! Opening our program for 1/2 off training for all new incoming clients for the month of January at one of the bay area’s premier riding facilities. Space Limited. Call, Text or Email to inquire. 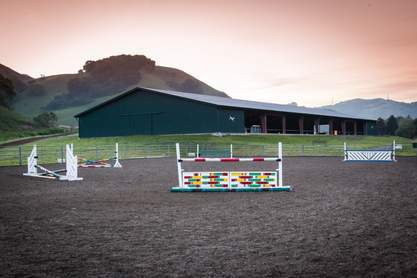 Premier Eventing Facility located near Danville/Pleasanton. Boarding, Lessons for beginners-advanced competitors, new beginner Riding Academy. Friendly, Positive, and Fun! Come for a visit soon. Hunter/Jumper Training, Lessons and Sales. Located in the East Bay Area off Crow Canyon Rd near San Ramon and Danville. 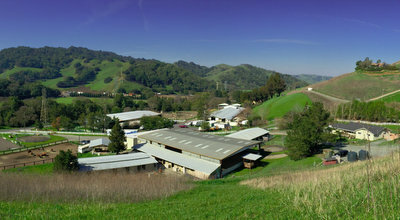 Rancho del Lago is an East Bay boarding and lesson facility. 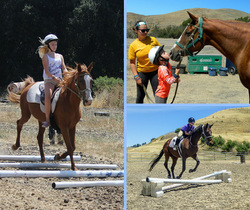 We have ponies and school horses for all levels of riders, pony parties, and summer camp. Grand Prix rider Tracey Hill is available for: training of dressage horses and riders, clinics, sales and judging schooling shows. Come audit a lesson or training to get familiar with Tracey's style! 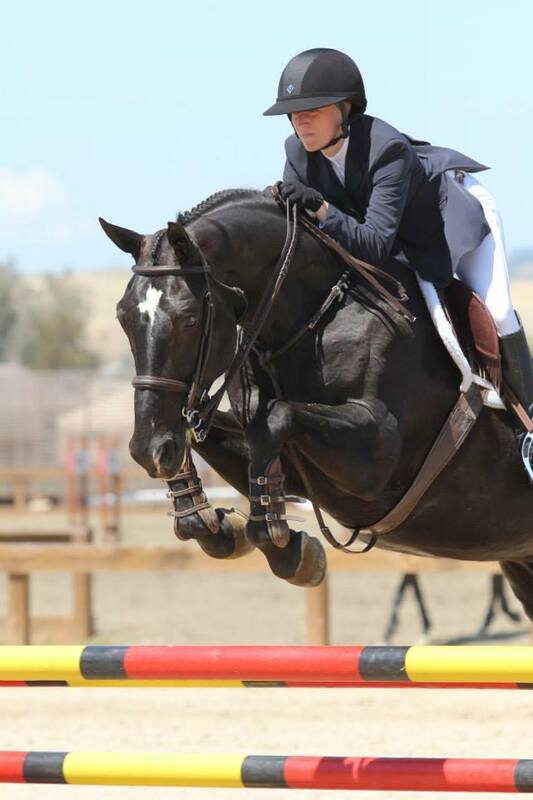 Tracey is an FEI rider & trainer and relocated to Walnut Creek offering lessons, training, sales and top care. She teaches students just starting their dressage career to Grand Prix. Come for a visit! Michele Ulrech ~Western lessons & Boarding at "The Old Brown Ranch"
Robinson's Equestrian Services 1/2 off 1st month!